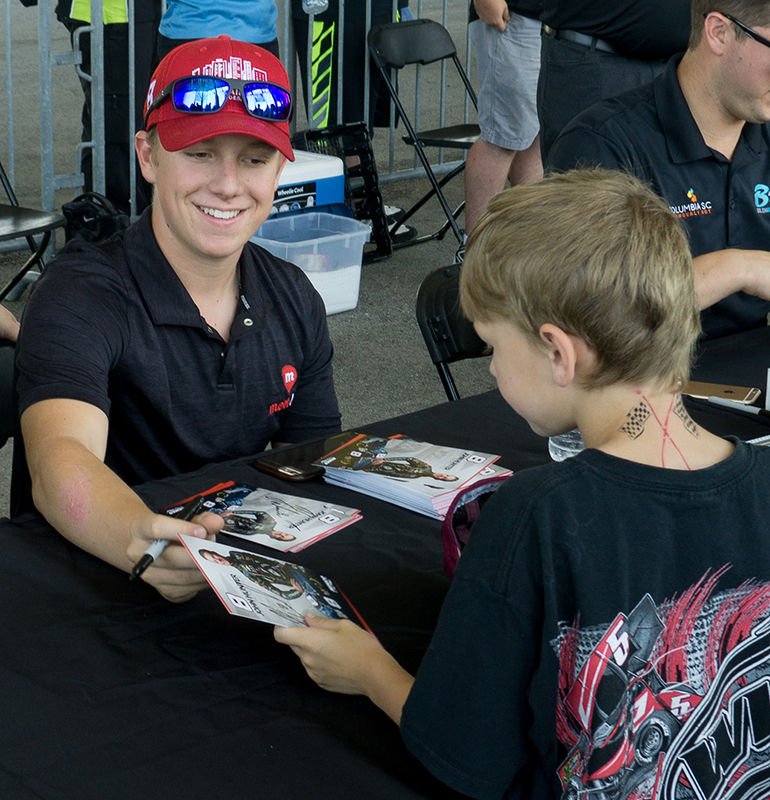 The best way to obtain an autograph from a NEMCO Motorsports driver is to go to a scheduled appearance. While we encourage you to not send items in for autographs, if you would like to do so, you will need to send your requests to NEMCO Motorsports to the driver’s attention. When you send in your request, it is required that you also send a self-addressed stamped envelope so your merchandise can be returned to you. If you are requesting a hero card, please include a 9″x12″ envelope with the proper postage as determined by the United States Postal Service with your request (minimum $1.25 postage). Please allow 12-14 weeks for the item to be returned. Also, only two autograph requests per fan a year. We appreciate your request and interest in NEMCO Motorsports and drivers Joe Nemechek and John Hunter Nemechek.